Marcella Hazan, an International Italian cooking legend, passed away at the age of 89 on September 29th. Not only much loved by the world, as shown on social media, she truly holds a special place in the hearts of food bloggers, especially mine. Marcella Hazan has become so important to my culinary viewpoint that my husband saw the news on facebook and immediately came to me, almost as if he was sharing the news that one of our own family had died. He knows how I feel about her, how much I have admired her and revered her as one of the greatest advocates for Italian home cooking. She was a life changer for me and served to enrich my life, especially in the year I devoted to blogging recipes from her cookbook, Essentials of Classical Italian Cooking. 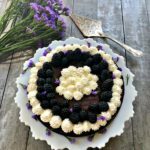 A few years ago when I first started blogging, I created an online cooking group called Cooking Italy to learn more about authentic Italian cooking. We decided as a group that we would choose one book to cook from and we chose Marcella Hazan’s I was standing in a second hand book store searching for ideas because I didn’t want the modern glossy Italian celebrity chef of the day. I wanted something that would truly teach the art of Italian food. I spotted a brand new hardback copy for only $17, and knew Marcella Hazan was the one who would be our teacher. I also knew the book, because there was a time that I put that same book in the yard sale, having inherited from a foodie relative. I never once even looked through it, except to know it had no pictures and looked too complicated. I laugh at my former food ignorance, but I am grateful that I was redeemed and that I set about to change the minds of other home cooks. For example, did you know a little butter in pesto creates a creamy texture and a smoother flavor? 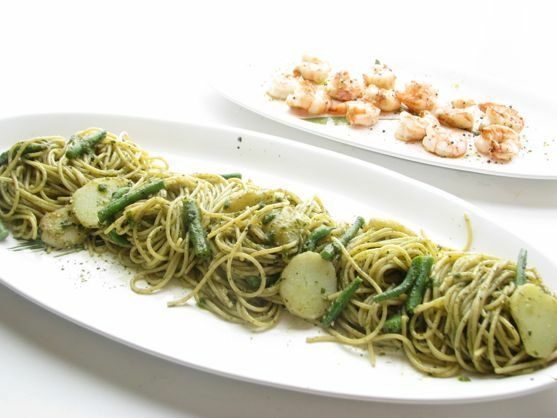 Spaghetti with Pesto, Green Beans, Potatoes is a Genovese dish. My grandfather comes from Genoa, so it’s in my genes to love this traditional spaghetti, green beans and potatoes dish slathered in pesto sauce. The poached lemon shrimp in olive oil in the picture is one of the best ways to make a shrimp appetizer, something we now serve every Christmas Eve. I found a handful of other women who agreed that we should cook our way through the book and they left the menu planning up to me. We were assigned a dish a week and that was no easy task. We had a google group (remember those) where we would discuss olive oil, parmigianno reggiano and the right flour for making pasta. We fast became friends through these discussions. 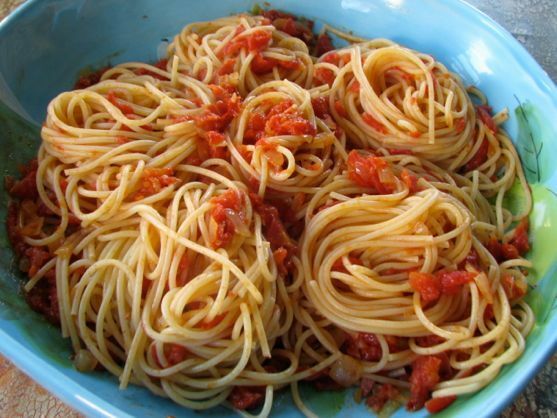 My personal Favorite: Pasta all’Amatriciana. Don’t let the simplicity of this dish fool you. The pancetta and heat from cracked red chili pepper give the sauce a wonderful flavor and it tastes just like the dish I had in Rome. I know that Maria had been making her bolognese sauce for decades and she was such a fun person to have in the group. 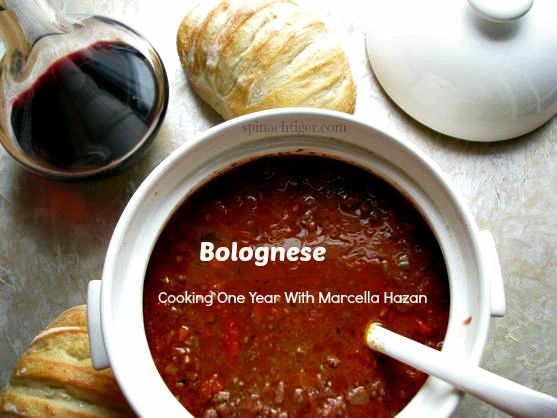 We had many many conversations about the two ways Marcella has written about making bolognese and how to get the meat to make her famous meat broth. This bolognese with fresh pasta is my husband’s all time favorite Marcella recipes. I became very immersed with Marcella. I read her Memoirs Amarcord: Marcella Remembers. I was inspired and amazed that she had a crippled hand from childhood accident, yet it never stopped her from cooking, teaching and presenting food on television. I interviewed her son, Guiliano and reviewed his book, Hazan Family Favorites, here. I became facebook friends with Lael, her daughter in law. I conversed with Marcella on facebook as early as a week before her death. Her husband, Victor, has taken over her account and is now talking with her fans, which, while heart breaking is heart warming at the same time, as he continues her legend. 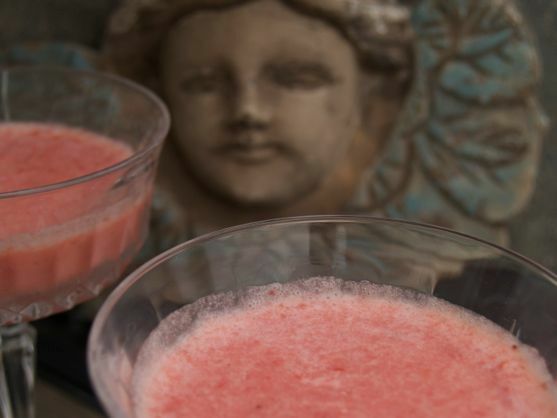 Cooking Italy with Marcella Hazan is unique in that she forced me to ask some questions. Why is it that when you mention her name in some circles you get this immediate reverence afforded only to Julia Child, but simultaneously in another circle no one know who you are talking about? Why did a cookbook with no pictures become so popular for so many decades that it still causes a stir and foodies are running to Amazon to order it? The Village Voice named the book as one of the top ten cookbooks of all time! How did a person with a Ph.D in natural sciences and biology became known world wide for cooking? Marcella Hazan has been referred to as the high priestess of Italian cooking, is a recipient of a James Beard Life time Achievement Award, and has had a friendly food fight with Mario Batali regarding the proper cooking of risotto. I agree with her; the saucepan is better than the saute pan. I can only speak from my own experience, but as an Italian who has tried to distance myself from some of the heavy, American Italian food, I embraced Marcella recipes, and I respect that she stayed true to her culinary view and hasn’t been afraid to speak her food mind. She is seriously devoted to the ingredients she remembers growing up. If Marcella does nothing, she will take you to the cheese counter and change your life. She will guide you to the right pasta for the right sauce and she is so formidable in her opinions, that you can almost feel her presence in your kitchen and even her critic, which will make you a better home cook. 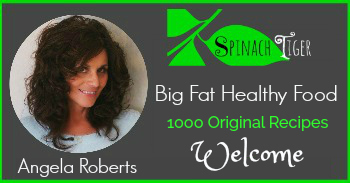 She will teach you the nuances of Italian flavors and what the word balance means. A bite of Italian food should be like enjoying a harmonious orchestra, not a bull horn. She will explain to you that white wine is better in a bolognese sauce than a red wine which can muddy up the flavor profile, and show you amazingly interesting a piece of pork becomes when cooked in milk. She will surprise you with butter that not only goes into her world famous tomato butter sauce, but also into her pesto. Just a few weeks ago I made the pesto with the added butter and I can tell you that people went crazy for it, realizing it was nothing even remotely similar to any jarred pesto. I have loved each and every dish I have cooked from Marcella’s book, but some stand out more than others. 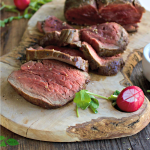 Roast Beef Cooked in Red Wine. 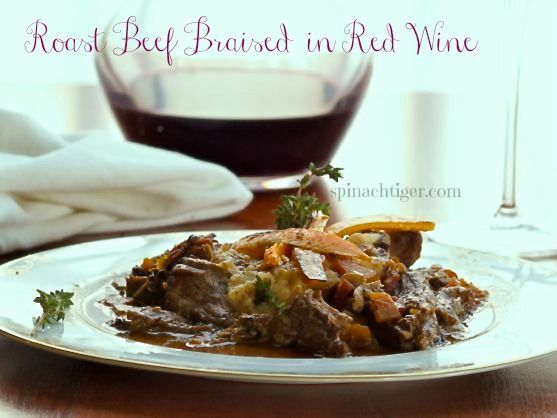 This is great for a cold winter meal or a dinner party, served with parmesan mashed potatoes. 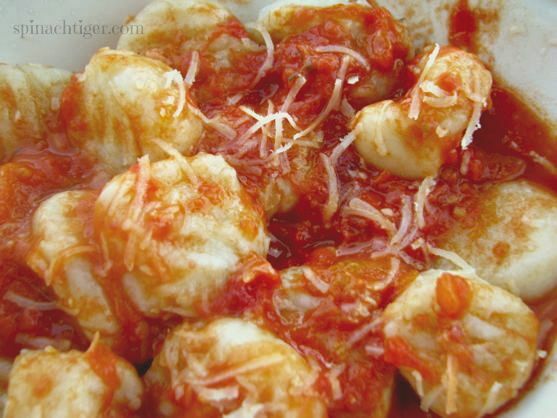 The Legendary Butter Tomato Sauce with Homemade Gnocchi. 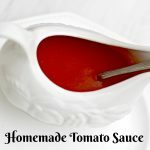 This is the sauce everyone talks about, and for good reason. 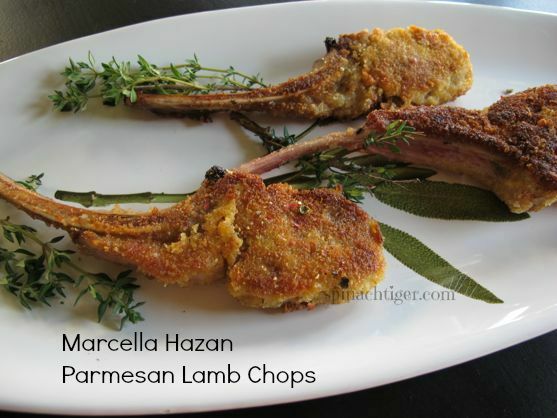 Parmesan Crusted Lamb Chops. This seemed an odd combination to me, but I was blown away from the perfection of this dish. The chops come alive under the crunch of the parmesan cheese. Ciambella I rememeber the morning I made this cake. It’s so Italian, in that it’s lovely, dense and not too sweet. I took liberty of making it a full berry dessert. 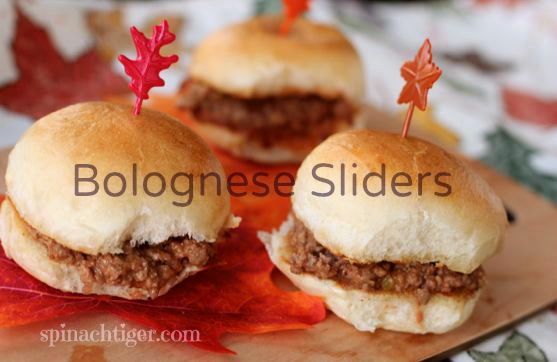 Bolognese sauce, is very diverse. I’ve used it for many dishes, including a sloppy Joe version and the dish Marcella writes about with love, the Baked Green Lasagna with Bolognese as it was the yearly birthday request of her husband, Victor. 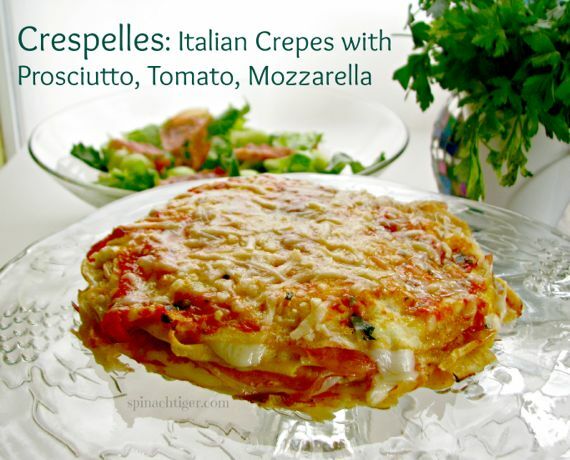 Crespelles with Proscuitto, Tomato and Mozzarella is simply outstanding. I remember making this after working all day on a volunteer project that started at 4:00 a.m. I got back at noon, got everything ready and we treated ourselves to Italian crepes. Don’t you love how food will bring up memories? Best Cocktail: Sgroppino, A Venetian Cocktail with Lemon, Strawberries, Proscecco The best part of this recipe is the lemon ice cream that becomes part of the drink, and it’s all so pretty. 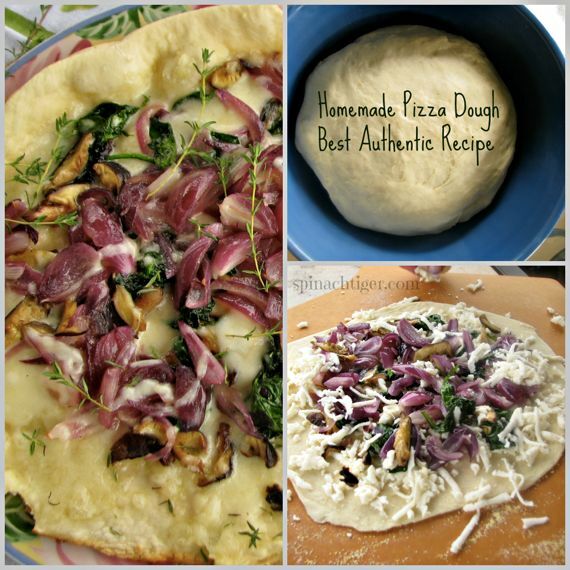 The recipe we embraced as our standard, based on our trip to Italy, is the pizza dough. It’s the best dough for high heat, thin, Neopolitan style pizza. 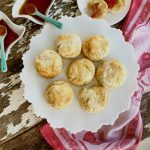 We have made this dough several times, and we will never change the recipe. It performs just the way the pizza dough needs to. It’s light. It’s chewy. It’s crispy. In my year of Cooking Italy with Marcella Hazan,, we made many more dishes, a few that I never captured well with the camera. The pork cooked in milk is something so interesting. The milk cooks down to deep brown, nutty sauce. The pasta with scallop sauce, bread crumbs and chili pepper is one of the easier dishes that exemplifies the beauty of simplicity when using good ingredients, and the sausage and cream with orcchiette is comforting and delicious, yet a challenge because it calls for a sweet sausage that has no fennel. I encourage you to spend a week, a month, maybe even a year cooking Marcella’s recipes from this legendary cookbook, the Essentials of Classical Italian Cooking. If you must have a book with pictures any of the more contemporary books from her son, Guiliano will do, and Marcella would smile approvingly. I end this post in gratitude to Marcella for bringing a distinct layer of Italian food culture to America. I am also in gratitude to the women who cooked with me and befriended me on the journey. I remain in gratitude to my cousin, Sam, also no longer with us, who first introduced me to Marcella’s cookbook and Victor’s wine book. He pointed me in a direction I needed to explore if I was ever going to be a good Italian home cook, and I am grateful for my year of cooking Italy with Marcella Hazan through the book, The Essentials of Classical Italian Cooking. 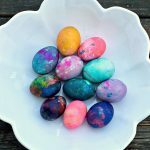 Angela, what a wonderful post to celebrate Marzella’s food and spirit! It is a comfort to know that she will live on in our kitchens. Angela, lovely ode to Marcella Hazan…one of America’s all time best cooks. I have the same book and just love to read the recipes! Photos are great, but there are times when a recipe itself actually does transcend the visual. You just see it as you are reading it. What a wonderful post! I love the story, the emotion and the photos. Sad to know she’s passed away but a wonderful way to commemorate your memories of her. 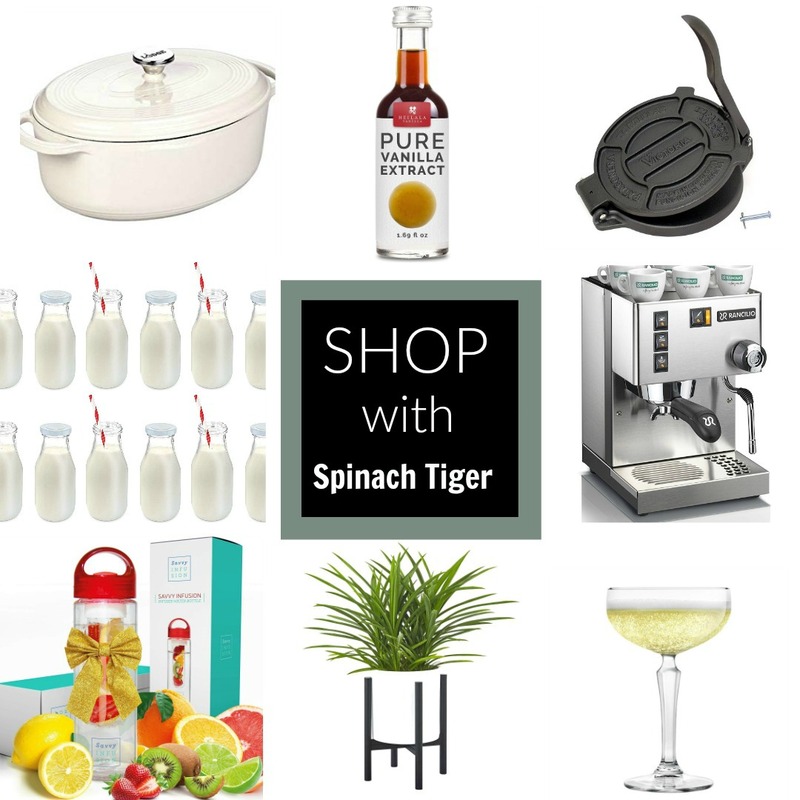 No one is more grateful for Marcella than I, as nearly all of my favorite SpinachTiger dishes are Marcella influenced. 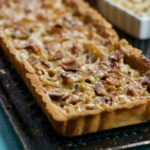 The recipes mentioned in this post are pretty much a list of my favorites. What a legacy she has left the world, that will be remembered and passed down for generations! What a beautiful tribute post, Angela. Your respect and admiration for this incredible woman shines in every word. What a beautiful post in Marcella’s memory. She truly was a legend and will be missed. 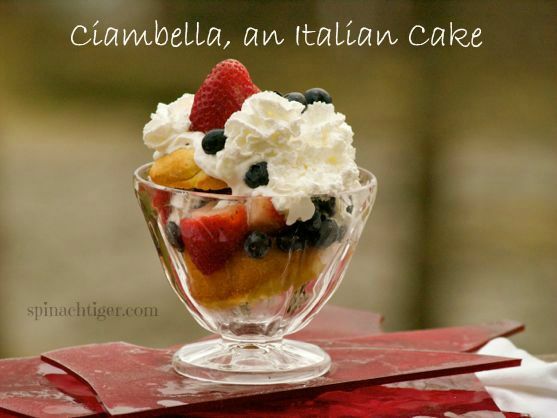 Everything I know about Italian cooking I learned from my dear mother-in-law and Marcella – both, now sadly gone. Fondly remembering our year of “Cooking Italy” and joyful for the friendships made along the way. I must say that until a few years ago when the group began cooking from her cookbook I was a member of the leagues who did not now her. Since then I have learned that Italian cooking is not spaghetti and meatballs, lasagna or pizza. Marcella Hazan has been a big influence in my reincarnation. Yes, Val. I’m so glad she’s getting the attention she finally deserves.